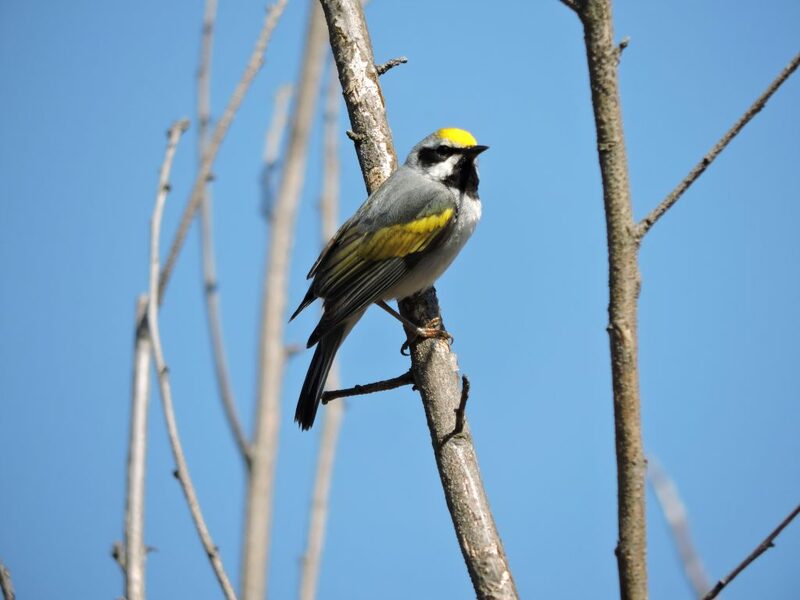 April 22 is Earth Day, and many people will celebrate around the theme of “Protect Our Species.” This year, expatalachians is honoring the Earth by discussing an important bird species in Appalachia: the Golden-winged Warbler. Birds capture the imagination because they are unlike any other creature. With prehistoric origins and the ability to fly, birds defy the realm of human capability. Over 1,000 species of birds are native to North America. Since 1966, however, one-third of North America’s wintering bird population has declined. The National Audubon Society, a nonprofit bird conservation organization, found in a 2015 “Birds and Climate Change Report” that “Of the 588 North American bird species Audubon studied, more than half are likely to be in trouble.” Across this region, bird species could lose more than 50 percent of their current range by 2080 if the climate continues to warm at its current rate. The impact of climate change on birds is often studied because they are highly sensitive to their environment, meaning that small changes can have a huge effect. Their unique breathing system and efficient flight style contribute to this sensitivity. Studies of bird flight reveal that small changes in environmental factors like sea surface temperature dramatically affect a bird’s ability to fly. Birds depend on aerodynamics to carry their relatively heavy bodies across the sky, meaning that minute changes can affect flight. In Appalachia, the Golden-winged Warbler has received special attention due to its steep decline. The songbird, which breeds in Appalachia during the summer, experienced a 97.8 percent population loss from 1966 to 2010. Habitat destruction, warming temperatures, and interbreeding with the Blue-winged Warbler (a related but separate species) contribute to their disappearance. A golden-winged warbler. Via Flickr. “The core population [of Golden-winged Warblers], 90-95 percent, live in the Great Lakes region. The Appalachian population is relatively small, only about 5 percent of the global population,” said Curtis Smalling, director of conservation at Audubon North Carolina. The Appalachian population prefers to dwell at the highest points of mountains, about 2,500-5,500 feet. They are a highly specialized species, requiring shrubby young forest with adequate canopy cover interspersed with herbaceous openings for the bird to breed and thrive. 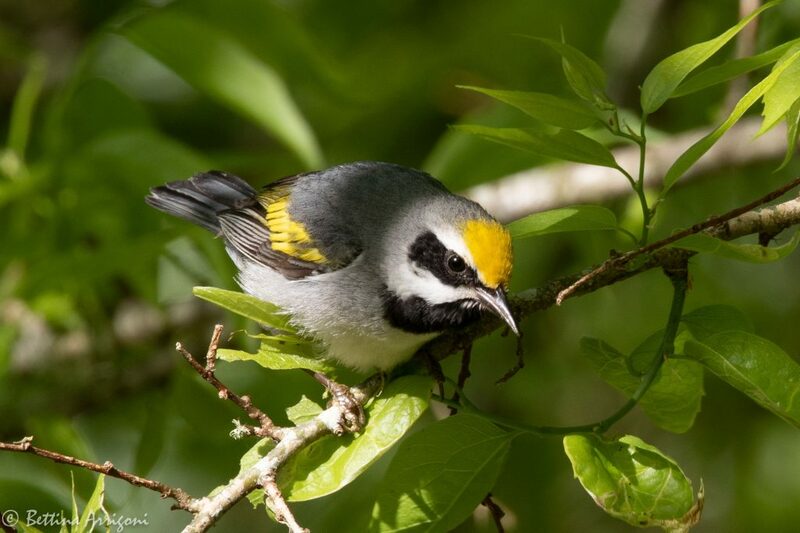 The Golden-winged Warblers are particularly fond of the Highlands of Roan, a high-elevation, grass and shrub-covered area that straddles North Carolina and Tennessee. The Southern Appalachian Highlands Conservancy (SAHC), a nonprofit land trust, works to conserve natural resources in this part of Appalachia. SAHC offers outdoor recreation and farming opportunities for residents, coordinates conservation activities, and other work to conserve the land, which includes protecting and maintaining the Golden-winged Warbler’s mountain home. “They lack the open farmland and scrubby habitat. Here in the Appalachians, we’re losing a lot of farmland. We are working to maintain that habitat,” said Marquette Crockett, the Highlands of Roan stewardship director at SAHC. Crockett helps coordinate conservation efforts like managing SAHC-owned properties to working with private landowners on best practices for preservation and organizing volunteer bird surveys. This multi-faceted approach is a community effort, Crockett emphasized. With so many different elements contributing to the Golden-winged Warbler’s decline, it takes cooperation between researchers, conservationists, and volunteers to make conservation a reality. Although the species is still struggling, places where conservation activities have happened often see positive results. “We’ve definitely seen Golden-winged Warblers disappear from spots that have become too overgrown or disturbed, like a housing development. But we’ve also been able to do projects that have immediate consequences,” Crockett said. Those results are promising and motivate conservationists to continue their work. Golden-winged Warbler (male). Via Flickr. Recent research indicates that the songbird’s problems might have more to do with their winter home than their summer breeding grounds in North America. The Golden-winged Warbler winters across Central and South America in Guatemala, Honduras, Nicaragua, Venezuela, and Colombia. Deforestation and poor land management practices are major problems, particularly in Nicaragua and Venezuela. This could explain the more dramatic decline of the Appalachian bird, which winters further south in these countries, compared to the Great Lakes birds that tend to go to Central America. Although it is tempting to conclude that the wintering grounds are the problem, further research is needed to say so definitively. “There are just too many unknowns at the moment” about the warbler’s problems, said Amber Roth, an assistant professor at the University of Maine and co-chair of the Golden-Winged Warbler Working Group. Further research is crucial for filling in these blanks, such as learning more about migratory behavior. The population [of Golden-Winged Warblers] has declined and the population has shifted. They are a good indicator of climate change, but I would caution relying on one species to understand climate change. I think they are part of this huge list of things that points to climate affecting all sorts of other things, like trees. “By managing habitat for Golden-Winged Warblers we are managing habitat for other species,” Crockett said. Both Roth and Smalling echoed this statement by emphasizing that by managing for the needs of the Golden-winged Warbler, a highly specialized species, the needs of other species are typically met. Thus, conserving the Golden-winged Warbler encourages better overall forest management. This is important to remember because the Golden-winged Warbler is not the only declining bird population in the region. The Cerulean Warbler, Black-billed Cuckoo, and Eastern Whip-poor-wills are among other threatened species. This tiny, golden-winged bird that weighs about as much as four dimes represents something bigger: The possibility, in spite of irreparable human impact on the environment, that there is still hope to of conserving and saving Earth’s biodiversity. The fate of the Golden-winged Warbler remains undetermined, but with dedicated researchers, scientists, conservancies, and volunteers working to protect it, the Appalachian population has hope. 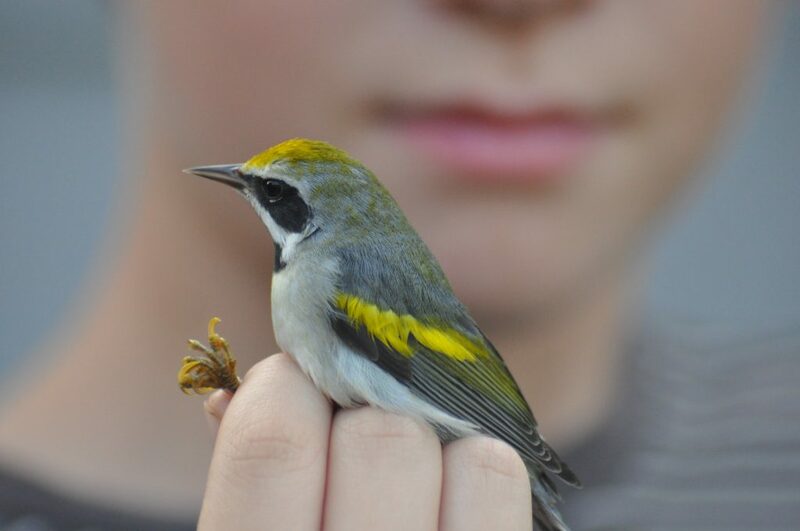 Comments, questions, or thoughts about the Golden-winged Warbler or other species threatened by climate change in Appalachia? 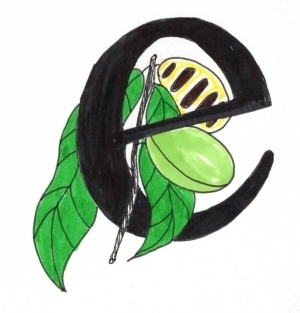 Contact Annie at annie@expatalachians.com.